My sister-in-law's birthday is February 10th. 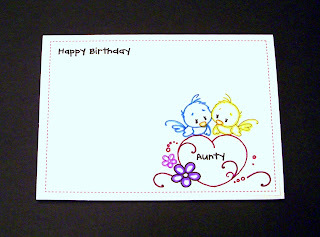 I chose a freebie image by Sylvia Zet from Wee Stamps that works for a birthday that is close to Valentine's day. I loved that it had two little birds that could be my 2 little ones. I just had to add eyelashes to the one little bird because my daughters felt that was what made them girl birds, ah kids. I outlined the image with my Zig markers. The sentiment and stitching were added in my Silhouette program and then printed on white cardstock. However I also went over the sentiment with my black marker too. Hi Barb, this is a really effective CAS card for our hearts and flowers challenge. What a super cute card, love it! Thank you for sharing with us at My Time To Craft this week,, good luck! Everything in simplicity. Too cute. Bravo ! I like ! This is as sweet as can be, Barb! This is too sweet. Love your little personalisation in the heart. Thanks so much for joining the fun at ATCAS! 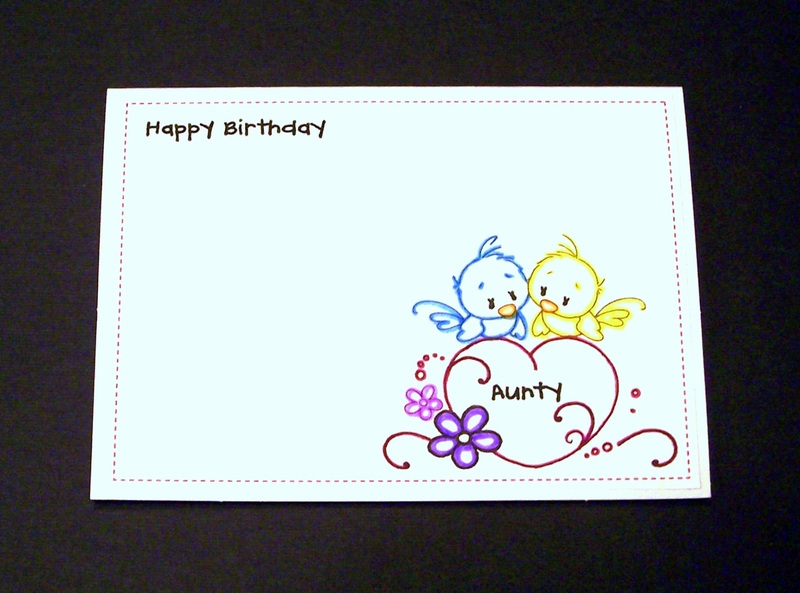 this is one super cute card! Thanks for joining us at Charisma Cardz. Love the clean and simple design! Thanks so much for joining in with our challenge at Charisma Cardz this week! Ah what a cute card, so sweet love this. Thanks so much for joining us at ATCAS and good luck. Barb - those birdies are just adorable! Thanks so much for making your mark on this week's CAS-ual Fridays challenge!